Home / 2014 Blogger Award / Blog Bash / Brooklyn / Brooklyn GOP / Brooklyn GOP Radio / CPAC / Malcolm and Melissa / Melissa Clouthier / National Bloggers Club / People's Republic of New York / Brooklyn GOP Radio Nominated for 2014 Blogger Award at Blog Bash! 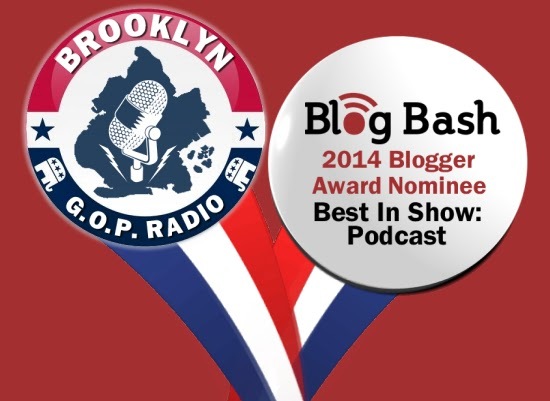 Brooklyn GOP Radio Nominated for 2014 Blogger Award at Blog Bash! There's no bigger or better acknowledgement of one's work than that earned by your peers. I am so happy to announce that Brooklyn GOP Radio has been nominated for a 2014 Blogger Award at Blog Bash, the largest gathering of right-of-center bloggers each year organized by the National Bloggers Club. 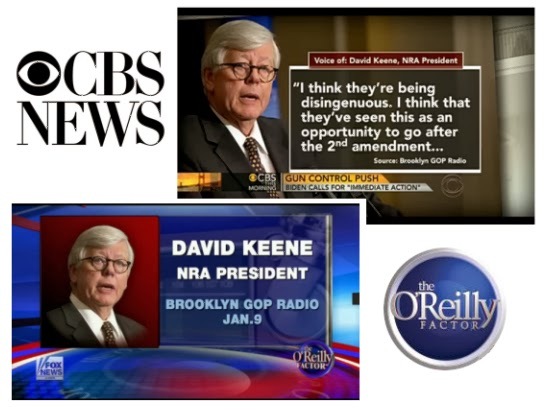 Brooklyn GOP Radio was nominated for the "Best In Show: Podcast" Award, mainly for our January 2013 exclusive inerview with then-President of the NRA David Keene. We were the first to ask about the NRA's response to Gov. Andrew Cuomo's State of the State address where he promised that New York would adopt the "toughest" gun control legislation in the nation. In addition, Mr. Keene addressed the Journal-News published list of gun owners and his opinion of the Obama Administration’s “attack” on the 2nd Amendment. Mr. Keene was on the show for nearly twenty minutes - possibly the longest interview he had given anyone to date. Immediately after our live broadcast, two separate national shows that have an average viewership of over 2 million people – Fox News’s The O’Reilly Factor and CBS This Morning – played credited excerpts of our interview on their shows for related stories - you can check out the videos of those broadcasts herby clicking the link above. In short, we landed the right interview at the right time. Our team deserves recognition for our forward thinking and for creating content that mainstream media outlets of all media types used. 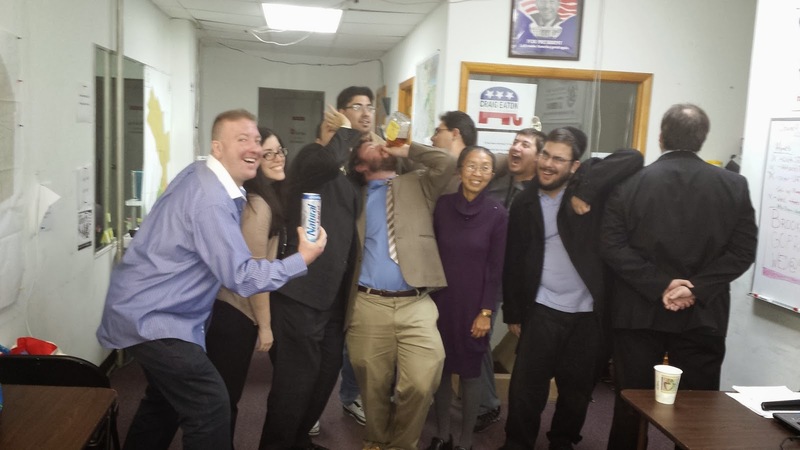 But Brooklyn GOP Radio is more than just one show - it's an outreach program of the local Republican Party. Through the show, we've attracted local activists, candidates and (most importantly) created a young energetic volunteer base that will be the start of sustaining growth within the party. The show is like a weekly meeting (online and literally in our office!) that keeps people energized and engaged. Our fellow nominees are "Malcolm and Melissa", a podcast run by Investor's Business Daily, and the "Wayne Dupree Show", run by our very good friend Wayne Dupree, a conservative media personality who has had a show on terrestrial and internet radio and has appeared on national cable news shows. To be counted in this company of professional, full-time media personalities is quite the honor in and of itself. Truly, we have reached the big leagues! Every show deserves to win. There are so many people to thank for this recognition - too many to name, but you know who you are. To all of our contributors in the past year: thank you so much for your dedication, your help and - probably most importantly - your patience in dealing with my insanity when it comes to the show. Your knowledge, your enthusiasm and your friendship make doing the show the highlight of my week. More than being a great show, Brooklyn GOP Radio is a vehicle for party growth here in one of the strongest of Democratic counties in the nation. Just another Wednesday night in Bensonhurst, hanging with friends and talking politics! And a special thanks to my partners-in-crime Russ Gallo and Brooklyn GOP Chair Craig Eaton. In January 2010, we all sat down at a table in Lai Yuen in Bay Ridge when I pitched them both this concept. Craig has the vision and the trust to give me the green light, has kept us focused and supported the growth of the show, which has mirrored the growth of the party. Russ has been the engine on-air that makes this show go and has always been down for a caper or two. His energy is infectious and working with him for the past 4 years has been fantastic. Together, the three of us have accomplished a lot of great things, as we have had each other's backs through thick and thin. The words "thank you" do not express my gratitude for everyone who helped us get here. If we don't win then the fix is in!